St. Martin's Griffin, 9781250012159, 256pp. We all know that the quality of education served up to our children in U.S. schools ranges from outstanding to shockingly inadequate. How can parents tell the difference? And how do they make sure their kids get what's best? Even the most involved and informed parents can feel overwhelmed and confused when making important decisions about their child's education. And the scary truth is that evaluating a school based on test scores and college admissions data is like selecting a car based on the color of its paint. Synthesizing cutting-edge research and firsthand reporting, Peg Tyre offers parents far smarter and more sophisticated ways to assess a classroom and decide if the school and the teacher have the right stuff. 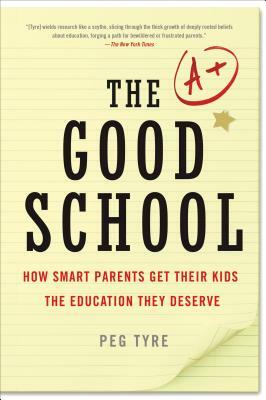 Passionate and persuasive, The Good School empowers parents to make sense of headlines; constructively engage teachers, administrators, and school boards; and figure out the best option for their child—be that a local public school, a magnet program, a charter school, homeschooling, parochial, or private. Peg Tyre is the author of the New York Times bestseller The Trouble with Boys. She was awarded the prestigious Spencer Research Fellowship at the Columbia Graduate School of Journalism where she began work on her book The Good School. Her writing about education has appeared in Newsweek, The New York Times, Family Circle, and iVillage.com. She lives in Brooklyn, New York.